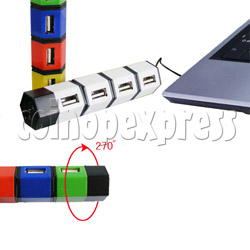 Here we would like to recommend a our latest product: Magic Cube USB Hub with 4 Ports. Special cube design of shape makes it very larruping and attractive. Provides four ports. Besides, each part of the port could revolve. We offer it with the most competitive prices.